Looking for things to do in SLO County or for something specific in a trip with us? Let this page help you narrow down your choices. We've selected the elements of our trips that people ask about and created this guide based on those common questions. Virtually any of our kayak trips on Morro Bay are great for wildlife. There are countless birds and lots harbor seals as well as chances to see sea otters. Tours in summer and early fall often see sea lions. The best biking trips for wildlife are the coastal trips. 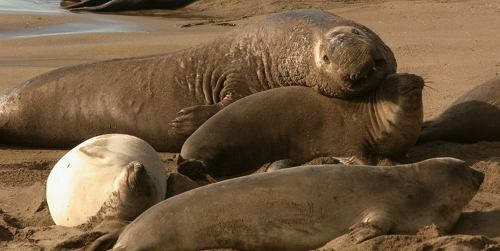 All of our Pacific Coast bike trips visit the elephant seal colony near Hearst Castle. The Avila See Canyon trip takes in sea lions and other sea life at Harford Pier. Many of our hiking tours have great wildlife viewing. On the Big Sur tour you have chances to see California condors. We also often see grey whales and humpback whales seasonally on our Big Sur tours (please contact us for best times for whale watching on the Big Sur coast). We usually see sea otters on the Estero Bluffs hike on our Private Short Hikes program. For the best tours and things to do in San Luis Obispo County for families, please see our Family Vacations page. Our sunset kayak tours are a great choice for couples celebrating a special event or just looking to have a romantic experience. We've even had couples get engaged on one of our sunset paddles! 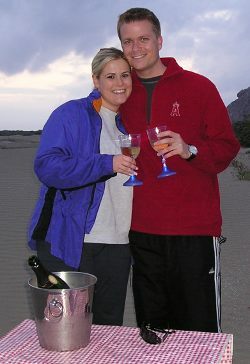 Any and all of our biking and hiking tours are great for couples as they are all guaranteed private exclusive departures. Just you (and the guide) for the duration of the tour! Looking for things to do in SLO County wine country? The following tours are exclusively in local wine country areas and ride between wineries with multiple opportunities to taste award winning wines from Edna Valley or Paso Robles. One of the great things about California's Central Coast is that coast and wine are in such close proximity. 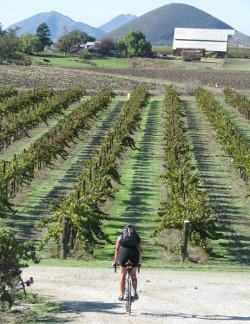 On our Avila See Canyon tour you can literally ride between the coast and several wineries just inland. On our other tours our company vehicle will shuttle you from your coastal adventure to the wineries. While all of our tours pass through scenic areas, many of our coastal tours feature incredible scenery. These are our favorites for spectacular coastal vistas. All of our kayak trips on Morro Bay are designed for people of all levels of fitness. Our easiest tours on foot are along the coast. Our easiest bike trip is in Avila See Canyon and spends a lot of time on a virtually level creek side bike path. While most of our tours are designed to be within reach of most people, many can be modified to be more challenging. We also have a bike itinerary for the Paso Westside not listed on our website that is quite challenging. Please contact us for details.